Gadget Entertainment And Lifestyle: Nokia Mystic is Nokia C6 ? This past January, rumors that Nokia will introduce a new mobile phone Mystic coded. 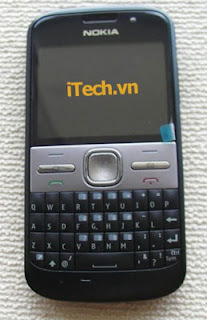 But the latest news said that Nokia Mystic is Nokia C6. No information about the specifications of the Nokia C6 this, but reportedly the phone, the price of the Nokia Mystic approximately 274 U.S. dollars or approximately Rp 2.600.000. Logical if we'll see both your Nokia S60 3rd edition is the latest Nokia Nokia C5 and C6 in the great event Mobile World Congress Spain, 15 February.